Have you broken your speaker cabinet handles? Bought an awesome new speaker cabinet that arrived without handles? These deluxe spring loaded metal speaker cabinet handles are exactly what you need! Save your fingers from growing new calluses with the luxurious, cushioned pads on the handles. The spring loaded speaker cabinet handle is installed in a recessed area on the cabinet allowing for maximum weight load strength. The spring loading feature ensures no more handles flopping around when maneuvering your road case cabinet from one gig to the next. Don’t waste your time comparing this pro-audio speaker handle to other PA speaker handles online. This speaker flip handle is exceedingly sturdy and durable. 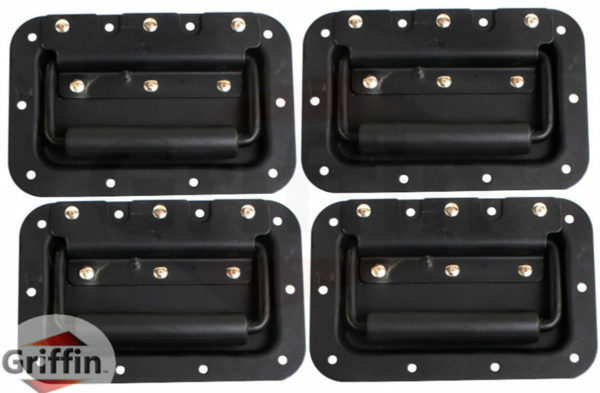 You can trust these metal speaker handles to securely accommodate your heavy equipment. 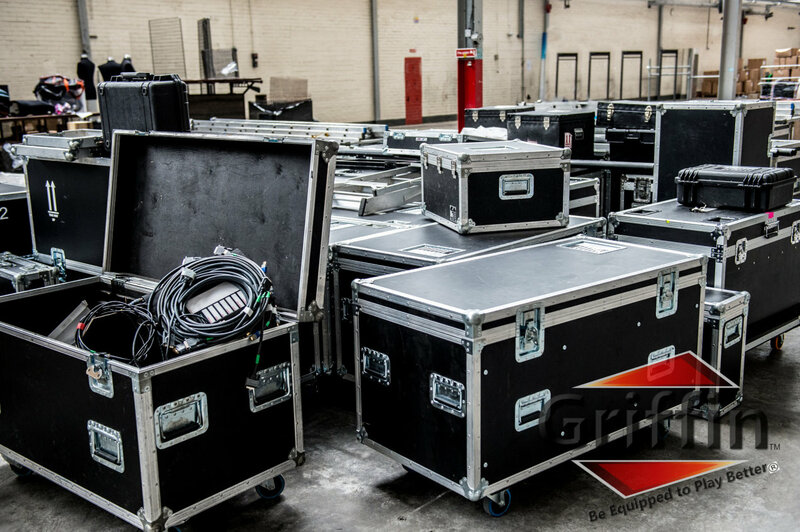 Shop around to find another carrying handle for a road case cabinet able to work this hard for you at such a cheap price; it cannot be done! We offer the lowest price for quality spring loaded metal speaker cabinet handles. Buy today with peace of mind knowing you are getting the lowest price possible for these high quality spring loaded metal speaker cabinet handles. 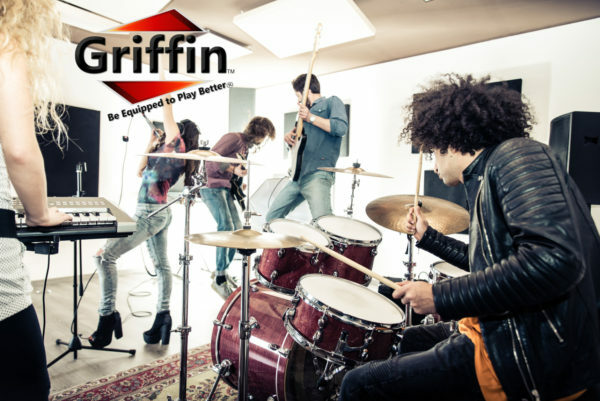 TUG THE TOUGHEST OF CASES WITH EASE: Save your fingers from calluses and pull even the heaviest of PA speaker cabinets, amplifier boxes or bass guitar cabinets with ease and comfort! 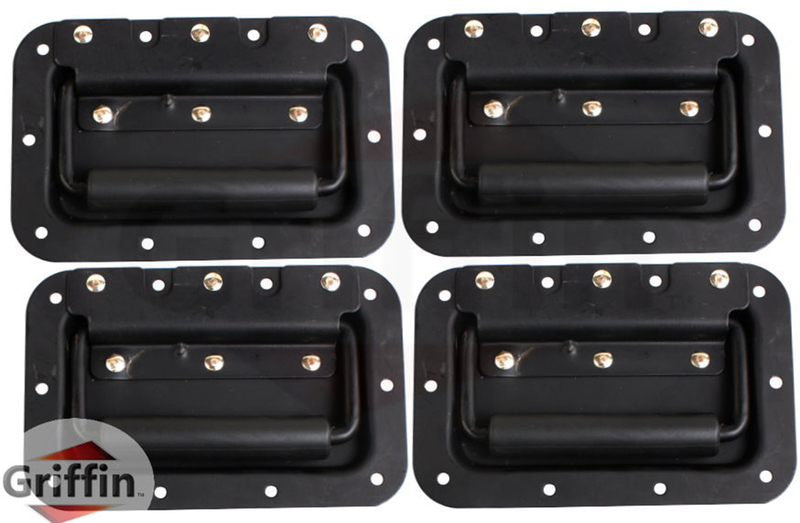 Perfect for DJs, musicians, school bands and any stage performer, these heavy duty, metal speaker cabinet flip handles will replace any old or worn out pulls on your road cases and allow you to carry them to your next gig with safety! The pack includes 2 pairs of handles (4 pieces in total). SUPER COMFORTABLE GRIP: Well-built with luxuriously soft, thick padded handles that feel great to the touch, these speaker flip handles will keep your fingers safe and make transportation a breeze! Made to withstand rough use on and off stage, these recessed handles promise to last for years to come and perform excellently every time! Dimensions: L 160mm x W 107mm x H 16mm. Gross Weight: 12oz each (3 pounds in total). NO MORE RATTLING & FLOPPING AROUND: Equipped with spring loaded mechanism that will keep the handles out of the way when not in use, these deluxe, PA speaker/amp pulls won’t rattle or flop around while on the go, making them excellent replacement parts or hardware accessories for your new stage equipment. What is more, their recessed design allows for maximum weight load strength, so you can carry your heavy duty DJ gear without worrying about accidents. UNBEATABLE LOOK: Boasting a modern, sleek design with black finish, these sturdy speaker cabinet flip handles will ensure you of the perfect fit and an unbeatable style for all your projects. With 10 mounting holes for effortless and secure installation, you can easily mount these durable handles in just minutes and get ready for your next performance! Cut out hole size needed: 134mm x 80mm. Screw hole size 4.7mm. GET THEM RISK-FREE: Backed by our risk-free satisfaction guarantee, you have nothing to lose! In the unlikely event that these recessed PA speaker cabinet/amp handles don’t meet or exceed your expectations, feel free to return them for a hassle-free refund! What could be fairer?